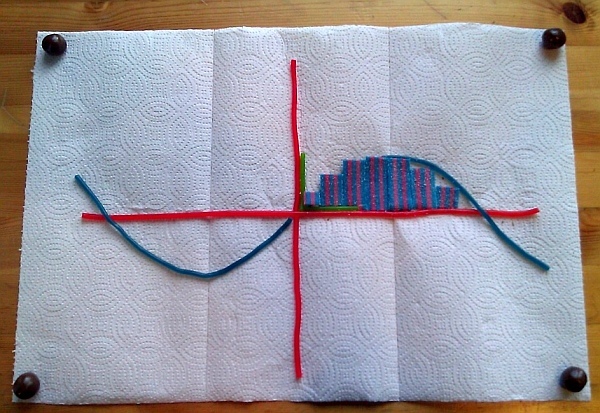 Eli Sohl created a blog called Math Candy, which shows mathematical ideas in the form of candy. Here’s an illustration of how to approximate the area under a sine curve with a sequence of rectangles. This is what mathematicians call a Riemann sum approximation to an integral. 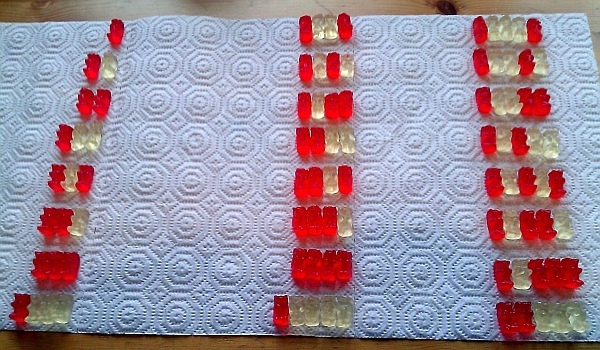 With two kinds of anything, e.g., 0s and 1s, or clear and red gummy bears, you can count in binary, i.e., base 2. Here’s a sweet way to count to twenty four. If you’re now inspired to create your own mathematical candy illustrations, send us a picture or a link. And remember: the best part is taking it apart. This article first appeared on Make: Online, August 29, 2011.